Yesterday we brunched at Andy and Mella's. 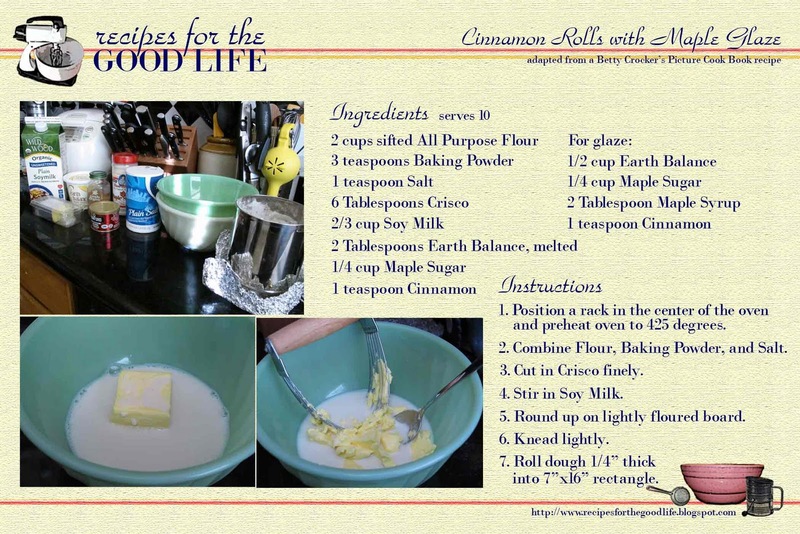 Continuing our Pantry Challenge, I whipped up Cinnamon Rolls from my Betty Crocker's Picture Cook Book, First Edition, Fifth Printing c.1950 (adapted by substituting Earth Balance for butter and Maple Sugar for Brown Sugar). The original recipe didn't include a glaze, but after cubes and I sampled one of the rolls, we both decided that something was missing. Position a rack in the center of the oven and preheat oven to 425 degrees. Round up on lightly floured board. Roll dough 1/4" thick into 7"x16" rectangle. 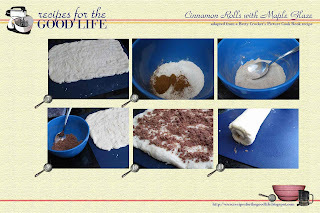 In a small bowl, combine 1/4 cup Maple Sugar and 1 teaspoon Cinnamon. Add 2 Tablespoons melted Earth Balance to Maple Sugar and Cinnamon mixture. Blend thoroughly. 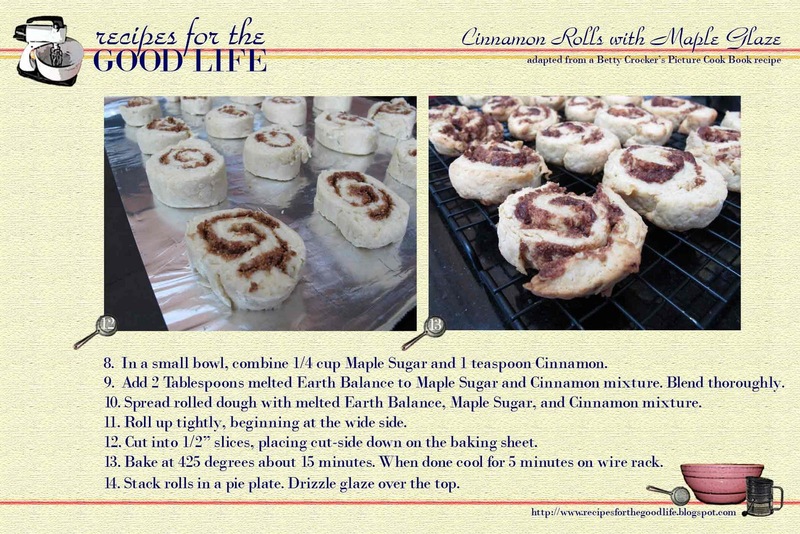 Spread rolled dough with melted Earth Balance, Maple Sugar, and Cinnamon mixture. Roll up tightly beginning at the wide side. Cut into 1/2" slices, placing cut-side down on baking sheet. Bake at 425 degrees about 15 minutes. When done cool for 5 minutes on wire rack. For glaze, on medium low heat, melt Earth Balance. 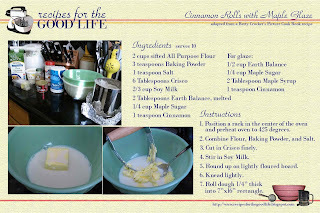 Add Maple Sugar and Coconut Milk. Dissolve Corn Starch in Maple Syrup and add. Stir constantly until mixture comes to a boil and thickens. Stack rolls in a pie plate. Drizzle glaze over the top.